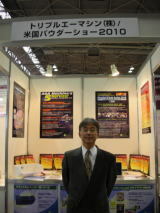 AAAmachine, Inc. introduced Powder Bulk Solids (magazine) as well as Powder & Bulk Solids 2010 (PTXi 2010) (trade show) to attendee and exhibitors in Japan during Powtex Osaka 2009. If you are interested in exhibiting this trade show from outside of USA, please contact us for booth application - from $3900/100sf. 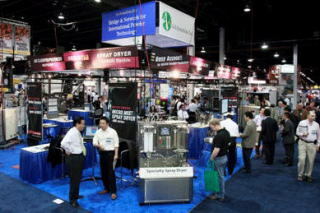 AAAmachine has reserved #2025 (900 sf) island booth at the center of the main hall. 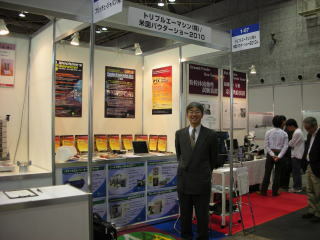 Even if 100 sf space can be reserved within this island booth. Please do not miss this chance. AAAmachine introdcued BI-MODE (Supply-chain system) and i-BES (International Buy-Direct E-commerce service). AAAmachine introduced the following US powder handling equipment manufacturers.